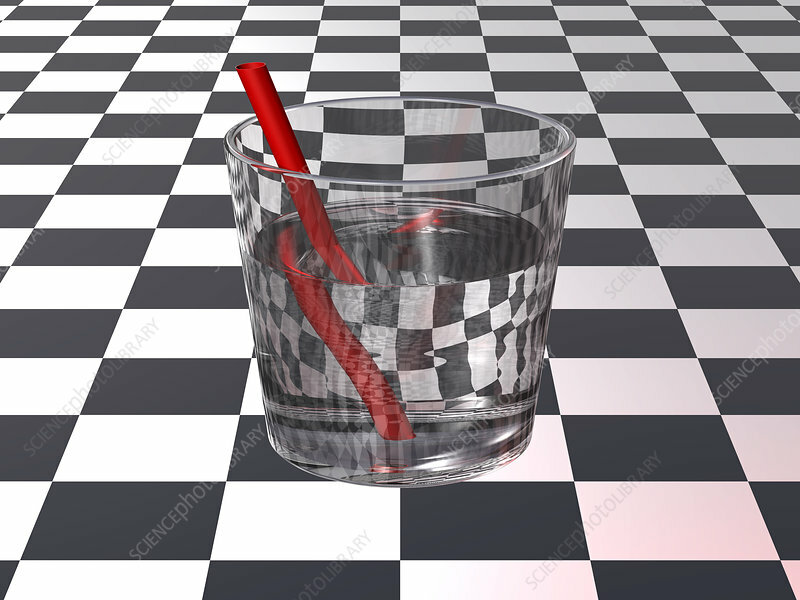 A straw in a glass of water is a simple demonstration of light refraction. Light travels at different speeds in different optical mediums, such as water and air. When light from an object exits the water, its angle of incidence with the water is increased. Since the brain assumes that light travels in straight lines, this leads it to believe that the object, when in the water, is in a different place than its true position.